See Those New Orleans Roads Like New Again! Why waste money on a new windshield, when you can easily fix the old one? We offer top- notch service for all your auto glass and windshield repair or replacement needs in New Orleans. 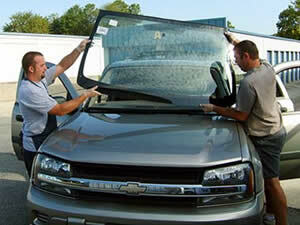 We are experts in auto glass replacement for all makes and models of cars. A severely deteriorated windshield is a major issue that should be addressed in a timely manner. Don’t wait until the situation turns dangerous or becomes expensive to fix. Whatever be your need — side, rear or vent glass replacement or repair, we have an affordable solution for you. We offer doorstep service for such situations. Just give us a call and our technician will visit your home or office within the day to fix your windshield or any other auto glass. Your car’s windshield is a very critical component and any damage to it can put you and your family at risk. A shattered windshield won’t protect you from the elements, making it impossible to drive your car even during the best weather. Even small cracks and chips reduce visibility and can pose a significant risk while driving. Make sure to get windshield repairs or replacement done quickly and efficiently. Call us. We can help. Our trained staff will be personally handling your glass claim instead of making you deal with some nameless operator working in a giant call center hundreds of miles away. Call us today at: (504) 446-2390 so we can help you.